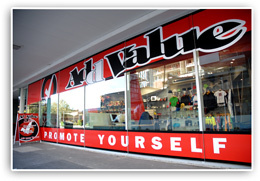 Add Value Promotions was established almost twenty years ago. We've thrived since to become one of the most rapidly growing full service promotional companies in the country with a truly national profile. Our mission is to add value to your business by supplying targeted, cost effective, creative, marketing solutions that work for you. 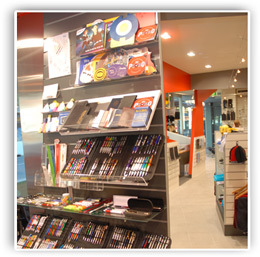 We provide branded promotional products to clients ranging from small business through to multi-nationals. So whether it's 50 or 50,000 units you require we would be delighted to help. We will never let our client down. When we make a promise, we deliver. This combined with our long experience in contingency planning means we always honour the commitment we give to you our clients, no matter what the cost to us, always! Read a case study. There is always a way with Add Value, regardless of how absurdly fast you need them.... and if there isn’t an obvious one we will find a way! We know every logistical technique to achieve the fastest delivery.We hate to say no, so we don't! Frequently companies come to us with a request that other suppliers have found impossible to service and we always find a way of meeting their needs. Whatever the challenge or request, at Add Value our philosophy is “there is always a way”! Add Value guarantees to match and beat any written quote from another distributor on an apples-for-apples basis. We are known for our absolute consistency and reliability, backed up by a 100% satisfaction guarantee. Our client’s ultimate satisfaction is the basis of our long standing customer relationships with our clients, stretching back almost 20 years now! Add Value’s extensive network of suppliers, both locally, and abroad, gives you access to a wider range of even the most obscure items and a faster production and delivery timeframe, guaranteed. Regardless of the client, big or small, we provide outstanding service at all times, and say yes where others say no. Just a few of our major long standing clients include: NRMA, Fairfax Group, Austereo Radio, Australian Electoral Commission, Stockland, Derwent Howard, NAB, and Dial Before You Dig, plus thousands of smaller business and clubs you've never heard of who are all equally important to us! Our team includes highly qualified marketing and creative professionals; a dedicated international procurement specialist and an in-house graphic design team. 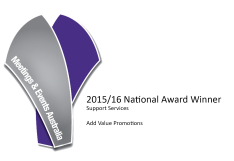 Add Value is an active participant in the ‘Australian Promotional Products Association’ (APPA), giving you the added safety of a dispute mediation service in the unlikely event of a conflict with member companies. Add Value is also an active member of the ‘Meetings and Events Association’ (MEA) and services many major events and conferences nationally. 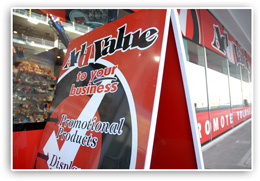 With our 20 years experience, Add Value has a deep insight into latest global trends. 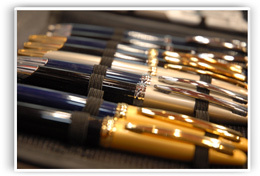 We know what promotional products strategies are achieving the best results in the marketplace, right now! We avoid any potential misunderstandings with our unswerving reliance on a set of tried and tested standard operating procedures. We have highly developed IT, communication and logistical systems as well as contingency plans in place, throughout our entire supply chain. Add Value stocks an extensive range of environmentally friendly products and encourages our clients to always consider green options. 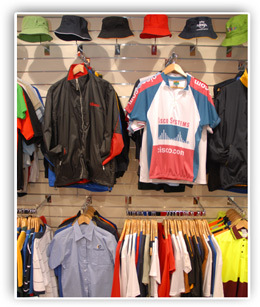 We are always searching for the latest enviro promotional product both locally and abroad. Pay a bit more and save the planet! We have an in-house creative design team with formal qualifications and extensive industry experience who deliver fast, convenient and high quality graphic design services. Our in-house design team eliminates 3rd party overhead and streamlines your product creation process. Add Value regularly visits major overseas trade fairs and our partner factories to stay at the cutting edge of global industry trends and innovations. Our strong relationships with overseas suppliers allows us to find the right products for you, at the best prices globally.